Spotkaj najwybitniejszych ekspertów compliance z różnych krajów. Podczas szkolenia grupa pozostaje na miejscu, a odiwedzać ją będą eksperci. Board Member in the Spanish Compliance Association and Partner at KPMG. Law degree fromUniversidad Autónoma de Barcelona. Alain has also taken specialist courses in EC institutions in Belgium and Germany. 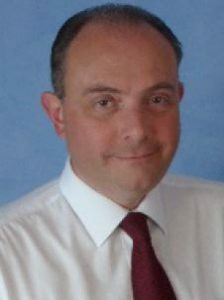 Partner at KPMG since 2000, Alain has designed and carried out projects to improve internal control over Legal Compliance and Corporate Crime Prevention. He is a respected author on these issues, and has published different textes. He is a member of the ISO/TC 309 “Governance of Organizations” Group, taking part in the five sub-groups in which it is divided. He is member in the CTN 165 UNE mirror Committee of the abovementioned ISO/TC 309 “Governance of Organizations” Group. He was Head of the UNE CTN 307SC1 ad hoc Group, drafting the Spanish Crime Compliance Management Systems standard (UNE 19601). He was a member of the ISO/PC 271 Group, drafting the ISO 19600 Compliance Management Systems (CMS) standard. He represented Spain as Head of Delegation. He was a member of the ISO/PC 278 Group, drafting the ISO 37001 Anti-Bribery Management Systems (ABMS) standard. He represented Spain as Head of Delegation. Alain leads and teaches the Compliance Master Degree on Compliance at Universidad Carlos III (Madrid) and UniversitatPompeuFabra, in Barcelona. He is also a lecturer at ESADE´s Law School, and at IEB, IEF and CEF. He is co-director of a Compliance Executive Program (“ProgramaEnfocado”) in the IESE Business School. He leads the International Compliance Congress in cooperation with Thomson Reuters. Philip is a former President of the Association of Compliance Officers in Ireland and of the Irish Tax Institute. He was Group General Manager, Regulation and Compliance in AIB Group, one of Ireland’s largest financial institutions, between 2002 and 2011 and prior to that served as its Head of Group Taxation. Philip Brennan is Founder and Managing Director of Raiseaconcern (www.raiseaconcern.com), an Irish based firm that works with private sector employers and public bodies in the prevention, detection, investigation and remediation of workplace wrongdoing. Raiseaconcern specialises in setting up and managing Employee Disclosure (Whistleblowing) Schemes for employers. Raiseaconcern has been selected by the Irish Office of Government Procurement as the first choice outsourced provider of the service of ‘confidential recipient’ and ‘evaluator’ of Protected Disclosures from the staff of all public bodies who wish to avail of the service. In a similar process, Raiseaconcern has also been selected in the same role for the provision of External Workplace Investigation Services across the Irish public service. Philip holds an MSc in Business Administration from University of Dublin, Trinity College and a Professional Diploma in Compliance from University College Dublin. 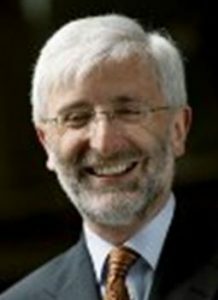 He is a Fellow of the Institute of Banking, of the Irish Tax Institute and of the Association of Compliance Officers in Ireland. Geert DELRUE graduated from the Catholic University of Leuven on August 29, 1982 where he obtained his master’s degree in criminology. As a Belgian law enforcement officer, with thirty four years of experience, he is attached to the economic financial crime department, where he handles investigations about money laundering, financing of terrorism, cybercrime, tax fraud. During his career he published several police manuals, for special types of financial investigations in Dutch, French and English, such as: ‘Vademecum for investigations related to financial and economic offences’, Criminal bankruptcy, Tax fraud, Forgery, Fraudulent insolvency, Theft of inheritance goods, Swindle and abuse of confidence, …). In 2012 he wrote a book about fighting money laundering and financing of terrorism (in Dutch – 3rd edition and in French – 2nd edition, 650 pages). In 2018 he rewrote his first book (2002) about financial investigations in Dutch: ‘Financieel rechercheren’ and in French “Rechercher en matière financière”. Actually he is rewriting his book about criminal bankruptcy in Dutch and French (release 2019). 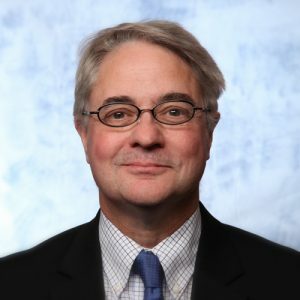 He is also a regular guest speaker at different international conferences (Amsterdam, London, Paris, Casablanca, … and in Kosovo, Serbia, ….for ACAMS, Marketforce, C5, BAE Systems, ….) about organized financial crime, especially about anti money laundering and financing of terrorism. 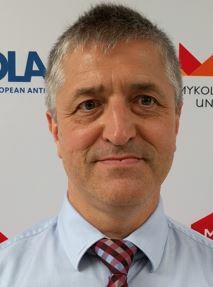 He also teaches as invited lecturer at different Belgian universities (ULG, ULB and UCL) and foreign universities (Cergy-Pontoise-Paris, Nice Antipolis – Nice, University Hassan II – Casablanca-Morocco, Viadrina University – Germany, University of Mykolo Rumerio – Vilnius-Lithuania, Strasbourg University (CEIFAC), …). Further on he does trainings about financial and economic crime investigations for the European Commission (TAIEX), the European Council and the United Nations. SALLY J. MARCH is an international lawyer and Certified Compliance and Ethics Professional. She advises companies in a variety of industries on their ethics and compliance programs, as well as writing and speaking on cultural and behavioural aspects of ethics and compliance. Ms. March is an adjunct faculty member at IE Law School, teaching on the LL.M. program in Compliance. Ms. March was Global Director of Compliance and Corporate Security for a North American publicly-listed company. She and her colleagues created a global compliance function which comprised Compliance, Ethics, Internal Audit and Corporate Security. She was responsible for the review and enhancement of the global anti-corruption program and co-ordinated the company’s response to new EU environmental legislation. In 2010, as Head of Risk Advisory for BBC Worldwide, Ms. March helped the BBC prepare for the UK Bribery Act. Before she focused on ethics and compliance, Ms. March practiced international commercial law. She led the legal department for BBC Technology, another wholly-owned subsidiary of the British Broadcasting Corporation. Prior to going in-house, Ms. March was a partner in international law firms where she advised multinationals investing in the former Soviet Union and also advised the Governments of Russia and Kazakhstan on commercial law reform and privatization. She has extensive experience in cross-border and cross-cultural business transactions and spoke on cultural aspects of negotiation. Ms. March received her law degree with honours from the University of California, Hastings College of Law, and her LL.M. from the London School of Economics. She is admitted to the California State Bar, is a member of the Law Society for England and Wales, the Society for Corporate Compliance and Ethics, and the Institute for Business Ethics. She also is a member of the exam committee for the CCEP-I (international certification for compliance professionals) and received the SCCE’s 2013 Compliance and Ethics Award for significant contribution to the compliance and ethics profession. Jane’s career began in television broadcasting at the BBC in the early 1980’s. Since 2006 when she formed her consultancy JL&M, she has focused her attention on helping organisations of all sizes to embed ethics and values-based cultures. Her passion at work is to connect the dots in organisations and to encourage them that their rhetoric must = reality. 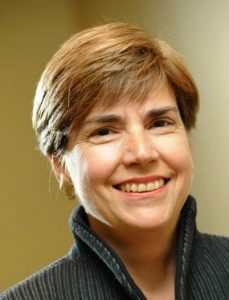 Her experience in leadership development, transformation and culture change is broad-ranging and she is often part of large-scale change projects. Her work has a strong international flavour, as she has worked in and with global organisations across a range of cultures, languages and countries for the last 15 years. Jane supports organisations in exploring and uncovering their values, assessing the state of their ‘ethical’ culture, developing Codes of Ethics and creating communications and engagement strategies to ensure they are successfully embedded. Fundamentally her work also includes working with her clients to create leadership development programmes with a focus on behaviours, self-awareness and impact. Her clients range from non-profit to private sector companies such as Rolls-Royce, BAE Systems, BP, Serco, Anglo American, Schlumberger, Cooperative Bank, Serco, Airbus, BT, Meggitt. GMAC, EAIE. 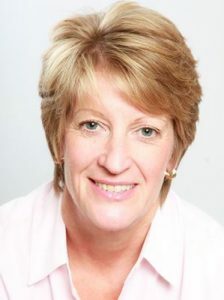 Jane is a Director of leading UK-based communications agency, Karian and Box, a Fellow of the Royal Society of Arts, and a past International Executive Board member, past UK president and board member of the EMENA region of the International Association of Business Communicators (IABC). She is a regular speaker for the Society of Corporate Compliance and Ethics (SCCE) where over the years she has introduced the importance of values and behaviours to culture and in supporting successful implementation of compliance programmes. She regularly writes on values-based cultures, leadership and the significant role that effective communication plays. Working globally, Barbara Neiger acts as independent senior lead auditor for several certification bodies and advises organisations on the developing, implementing, and maintaining of compliance/anti-corruption management systems. Prior to her current activities, she served in executive position of international finance institutions in the Central and Eastern Europe Region (CEE) for more than 20 years. 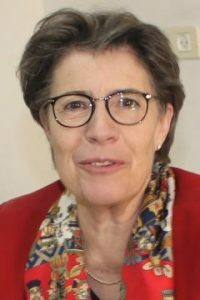 Being head of the Austrian delegations, Barbara contributed as a compliance and management specialist to the development ISO 37001:2016 Anti-bribery management systems and ISO 19600:2014 Compliance management systems. She holds a PhD in law from the University of Vienna, an MBA in Executive Management from the Vienna University of Economics and Business Administration, and an MA in anti-corruption studies from the International-Anti-Corruption Academy (IACA, Austria). Barbara serves as an academic lecturer at the Lauder Business School in Vienna, Austria, on Corporate Governance and Corporate Compliance Practice in master as well as in bachelor programs. Barbara is a regular international conference speaker and the author of the book “Successful Compliance – for efficient organisation with ISO 19600:2014” and of various articles in national as well as international publications in the area of compliance and anti-corruption. Senior and experienced Compliance/data protection and business ethics executive. 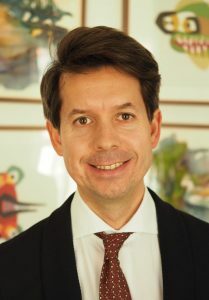 Nico’s career overarches a period of five years as a lawyer registered at the Amsterdam bar and 30 years in the financial industry with ABN Amro and its predecessors. Further,on going experience in Managing Board positions of non profit organisations, compliance at Russian and Japanese financial institutions and Board level experience at Fintech institutions. During this period Nico aquired wide ranging practical experience at Managing Board level, in risk and compliance risk management issues in internationally operating and innovative/disruptive financial institutions. The combination of multi cultural business experience and risk has proven to be a valuable asset allowing a good understanding of change in a fast developing landscape. Part of this includes extensive experience in stakeholder management of relationships with regulators at home and abroad. Recent experience involves dealing with EU developments including Brexit issues, AML/CTF and data protection (GDPR). Specialisations include Compliance and Privacy issues in Banking, Securities; Anti Money Laundering and Sanctions; risk alignment, crisis management, regulatory stakeholder management and intra concern data protection. In addition: Reputation risk management in crisis situations and the development of next level compliance organisations in the financial and corporate arena. Summerizing: Nico been active in a number of (C suite) and compliance roles including interim board member of Charitable Institutions, appointed by the District Court at the request of the public prosecutor and CRO at a Fintech Financial Institution.